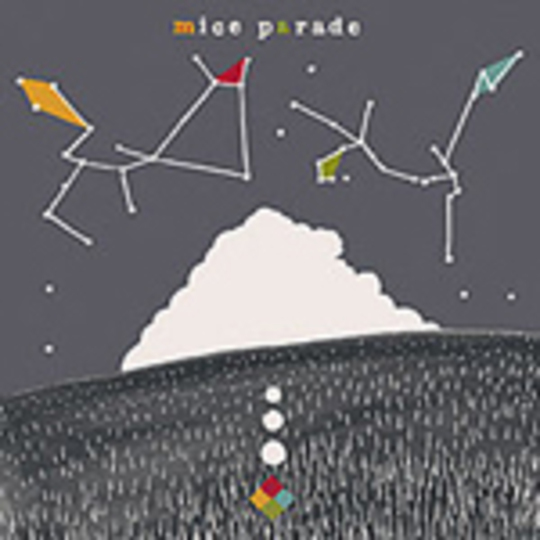 Fairly without exception, everything about Mice Parade is understated, from the attention-deflecting eponymous title right through to its ever-present plaintive tone. Over the course of six previous albums, it’s near enough what eagle-eared listeners have come to expect from the twinkling NYC-birthed project of founding driving force Adam Pierce. Yet Mice Parade have never before been quite this accessible. While there’s nothing here astoundingly remarkable – aside from, that is, mouth-wateringly beautiful vocal turns by Stereolab’s Laetitia Sadier and erstwhile Múm member Kristín Anna Valtýsdóttir – stripped down to his most sonically wander-free, Pierce is in rude musical health. Echoes of the faraway introverted extremes of Gruff Rhys’s solo expeditions, sans Welsh naturally, float into view occasionally where Pierce himself strums through what are undoubtedly the closest Mice Parade have marched to regular song structures. There’s still the fearlessness of electronic post-rock swirling around in spirit; the soul, however, is sighing to a soundtrack of outsider folk. Where Pierce’s own downtrodden bluster-free voice is merely refreshingly honest, his choices of female mouthpieces are inspired. Sadier will have you scrabbling through sleeve notes to discover which angel-voiced lady is melting the mic on ‘Tales Of Las Negras’ with sheer silky wonder in a way Stereolab never have. And despite Valtýsdóttir’s childlike Icelandic kookiness sitting less congruously with ‘Double Dolphins On The Nickel’, once Pierce joins her in the booth midway through the effect is equally striking, a magical partnership winging from a blowhole in an undiscovered Ice Age ocean. All told, not bad for an album supposedly originally designed to test out Pierce’s new converted garage studio.